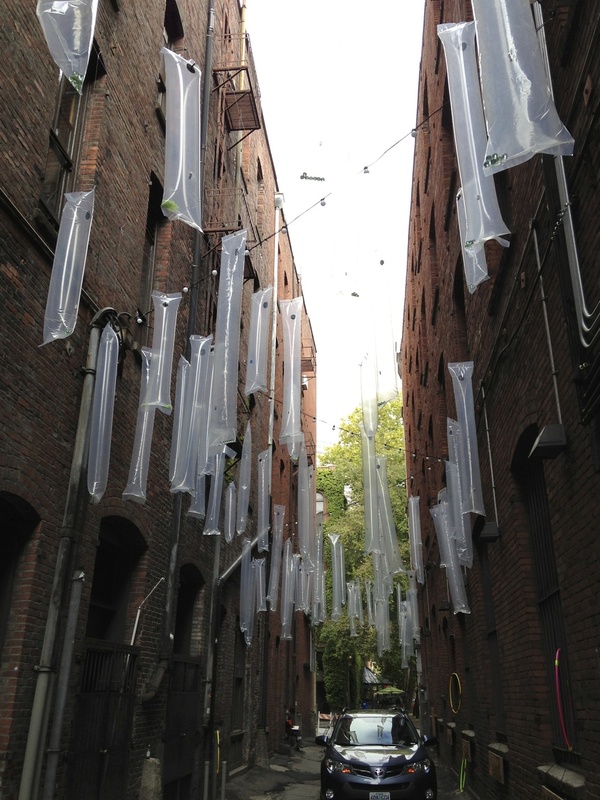 A re-purposed Nord Alley in the Occidental block on Pioneer Square today is part of "Design in Public", an event within the Seattle Design Festival. www.designinpublic.org/seattledesignfestival. 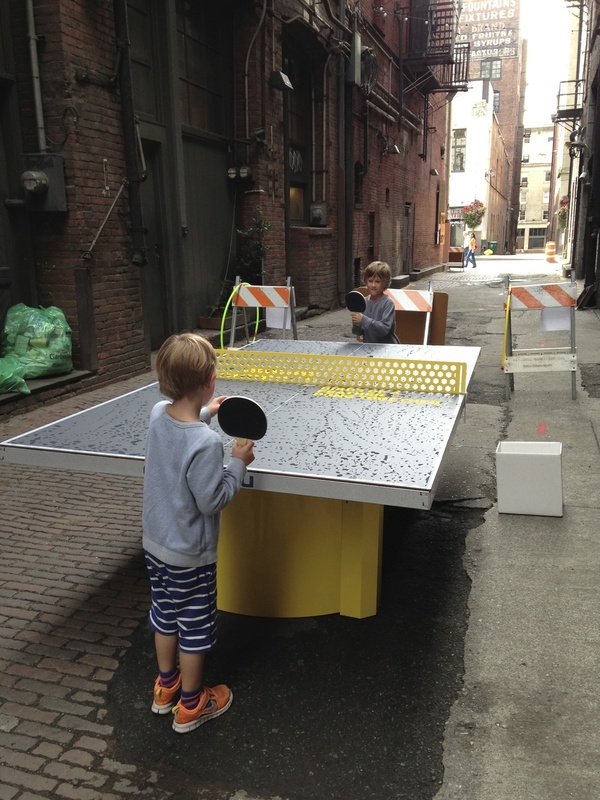 Ping Pong tables in alleys make sense to me!